Zee Entertainment announced the launch of Zee Hiburan in Indonesia. ‘Zee Hiburan’, which means ‘Zee Entertainment’ in English, is a General Entertainment channel that features popular Indian serials localized for the mainstream Indonesian audience. Zee Hiburan channel will showcase popular ZEE shows and dramas like Ramayan, Jhansi ki Rani, Jodha Akbar, Kumkum Bhagya, Pavitra Rishta, Kasam Se, Sapne Suhane Ladakpan, Jab Love Hua, Fear Files and many more. Zee Hiburran – Warnai Hidup Anda (Zee Entertainment – Color your life) is currently available as a pay channel on ICTA – Indonesia Cable TV Association and K Vision (DTH platform) and will soon be available on more platforms in the market. 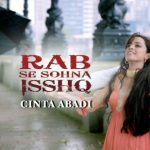 After the successful launch of Zee Bioskop in Indonesia last year, this channel is geared up to woo the local Indonesian audience with popular Indian daily soaps.